At MountainStar, we strive to provide the utmost quality care for families in crisis. 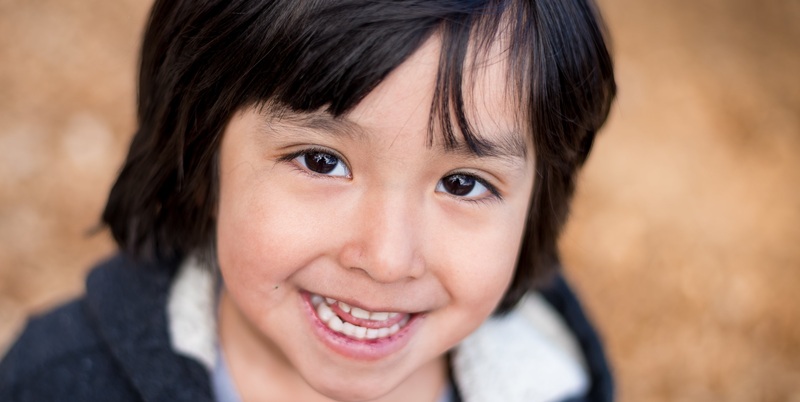 We are proud to serve over 300 families annually in Central Oregon, but more gratifying is the fact that we provide each family in our flagship Relief Nursery Program with over 300 meaningful contact hours per year. This means the difference between a family getting minimal services such as food boxes and respite care - things that would help only for a short time, and a family getting what they really need - help to alter the root cause of their suffering. Families like Cooper's benefit from our in-depth approach. Cooper was living with his mom and three siblings in a friend's spare bedroom when the family first came to us. Sadly, two-year-old Cooper wasn't talking, likely because his mom was suffering with severe and untreated perinatal depression. Cooper's mom began visiting with our therapist (through MountainStar's Child and Family Therapy Program), and also with Cooper's teacher on home visits. We helped her fill out applications for a low-income housing voucher and luckily, the family was able to move into their own apartment. Newly independent, Cooper's mom continues work with our therapist and is emerging from her shell, becoming a more engaged and talkative parent with Cooper and her other children. And Cooper - well, he has blossomed into a little chatterbox, asking questions and talking with friends in the classroom! As you can see, quality interactions with our staff are what make the difference for families in crisis. MountainStar Madras Relief Nursery is in the process of becoming nationally accredited through the National Association for the Education of Young Children (NAEYC) and MountainStar Bend is gearing up for a five year renewal evaluation visit this month. This means earning the highest level of accreditation possible for a program of our type. It is a rigorous process, demanding the very highest level of quality in the classroom, working with families, and in program administration. Only 28 programs in Oregon have earned this accreditation, and MountainStar Bend is the only program east of the Cascades to hold the distinction now. High quality early education for the under served is vital to every community. It is in the first four years of life that 85% of all brain growth occurs - and by age five much has already been determined based on whether or not a child had loving, attentive caregivers early on. Articles and studies are emerging with greater frequency now, with science showing that the early experiences and strong bonds babies develop with caring adults are literally helping to build their brains. 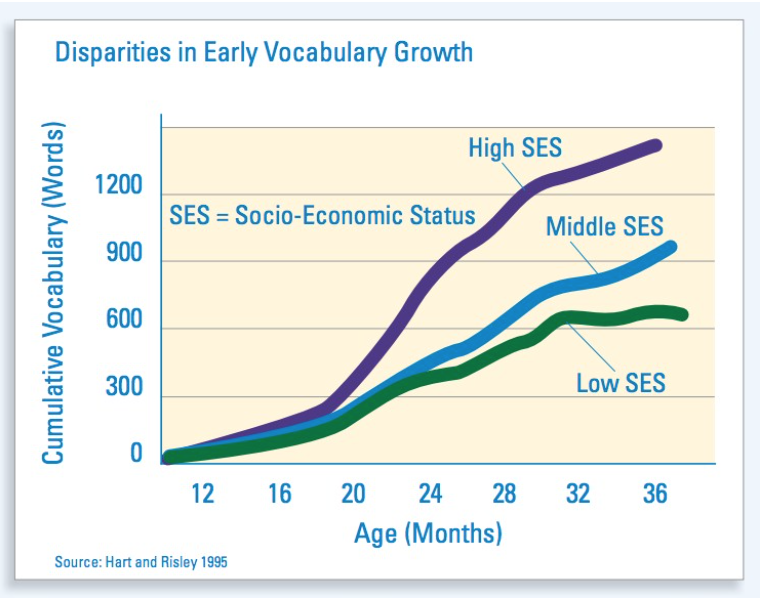 Check out the graph showing the vocabulary growth for a child like Cooper, versus a child growing up in a dual parent and well-educated household. The differences are staggering - 650 words versus 1400 at age three. This is why MountainStar strives to provide the very best for the families we serve.